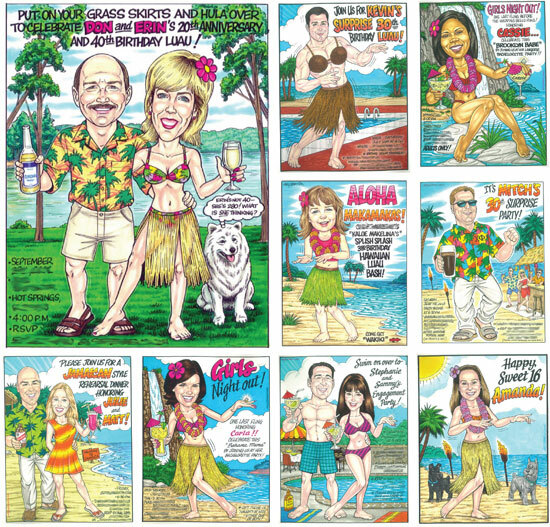 Party411.com offers personalized custom caricatures great for any theme party. 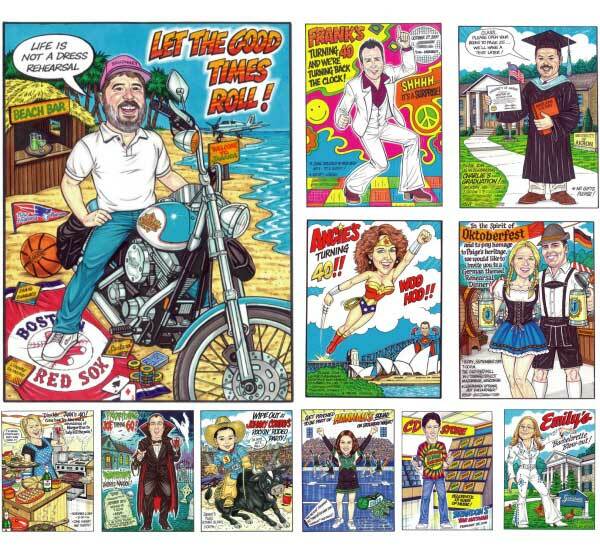 Add a personal touch with these unique one of a kind custom caricatures. 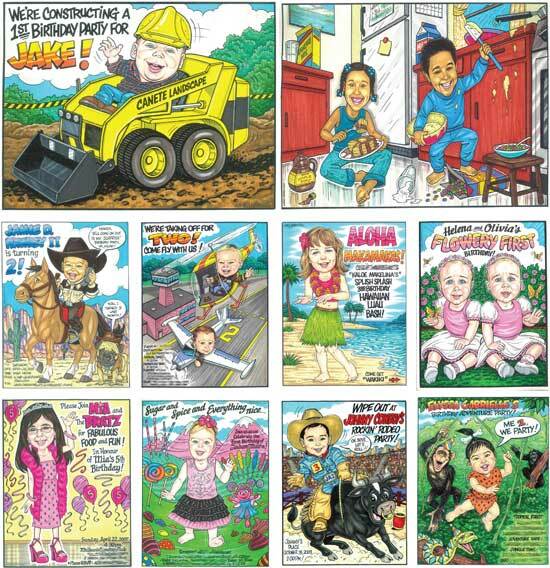 These custom baby caricature drawings are sure to be at a baby or toddler's birthday! 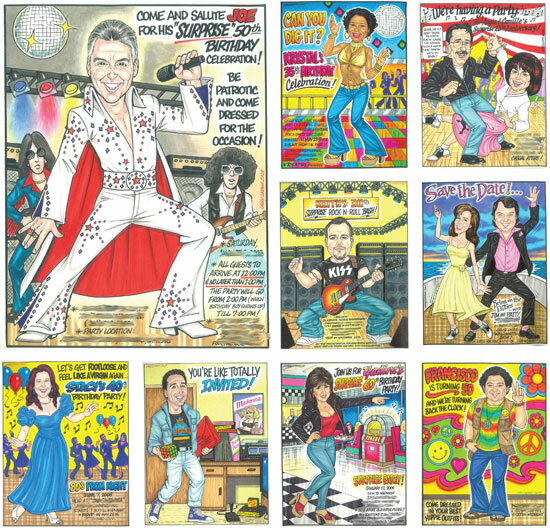 These custom caricature drawings are one of a kind and truly unique for your Bar or Bat Mitzvah celebration. 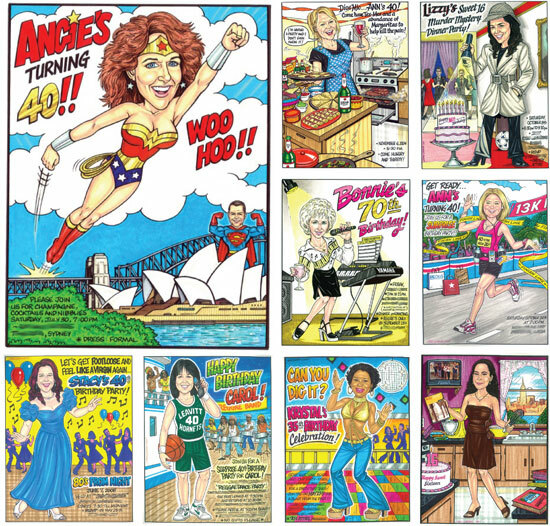 She will love her custom caricature invitation. Great birthday invitation and party favors. 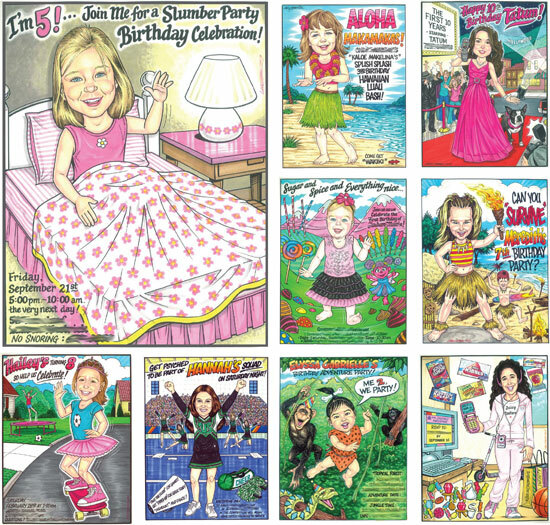 These custom caricature drawings of the birthday boy or girl is sure to be a huge hit for your birthday party! 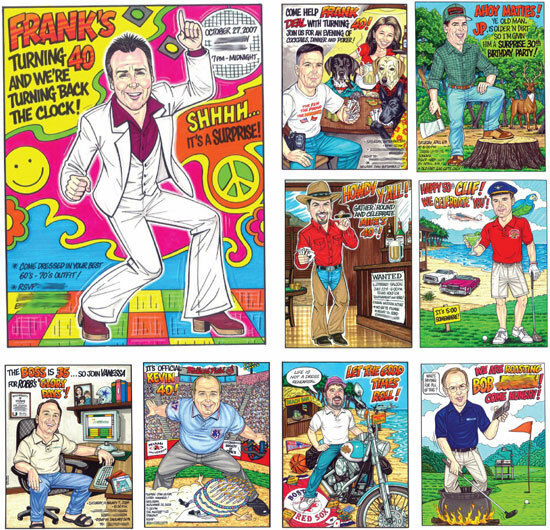 He will love a fantastic custom caricature invitation. Great birthday invitation and party favors. 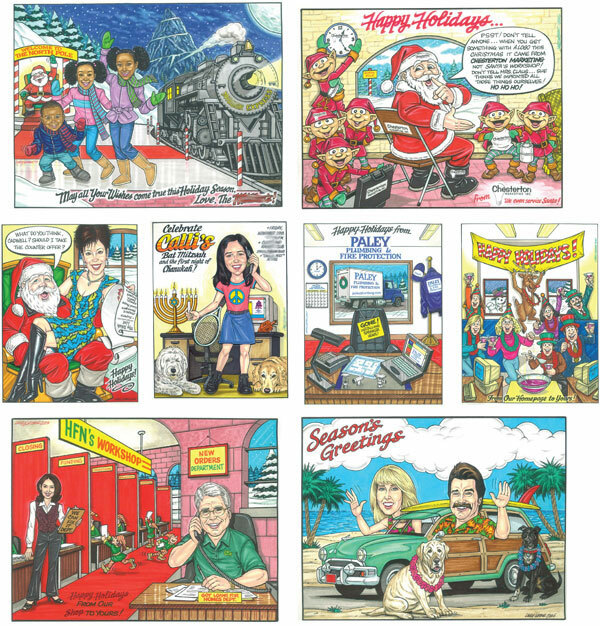 These custom corporate caricature drawings are sure to be a hit at your party! 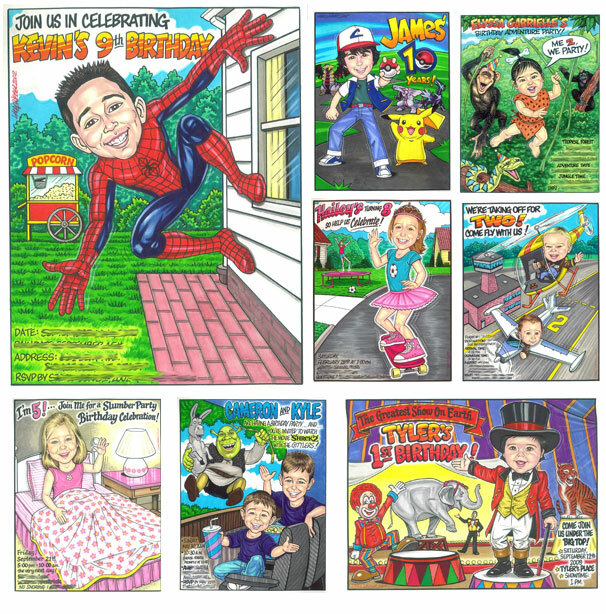 These custom caricature drawings with a Disney theme are sure to be a huge hit for your birthday party! 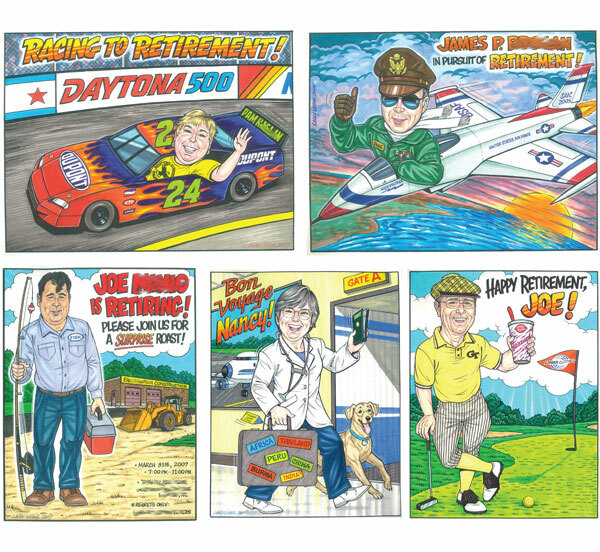 Celebrate the retiree with a one of a kind personalized retirement caricature. 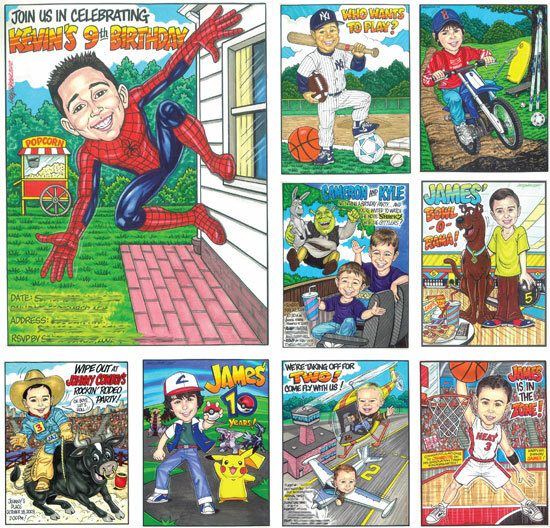 Hit one out of the party with a "FAN"tastic sports theme custom caricature drawings!